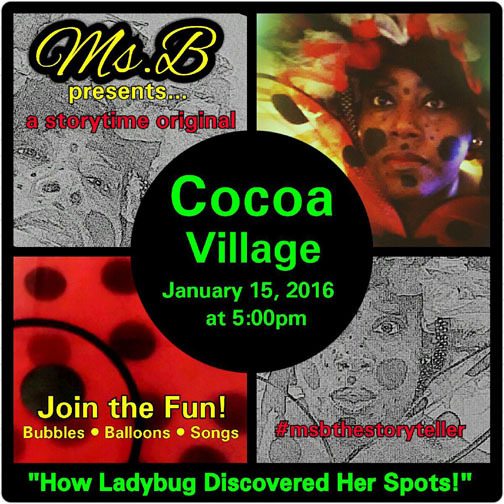 Ms. B, the storyteller, will be in Cocoa Village at the Outdoor Ampitheater for a free event. She is on a campaign to read to One Million Children. 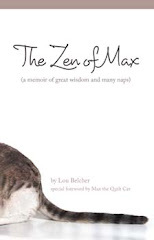 She will be reading How Ladybug Discovered Her Spots. 5:00PM on Friday, January 15th. There will be bubbles, balloons, and songs. Afterwards, there will be a free movie in the park with face painting and food vendors. It will be a great event that families will not want to miss!